Having stayed before knew the area and the standard of the apartment, always really clean with a few welcoming extras which is a lovely touch to feel welcomed. The bed is really comfortable and power shower great. 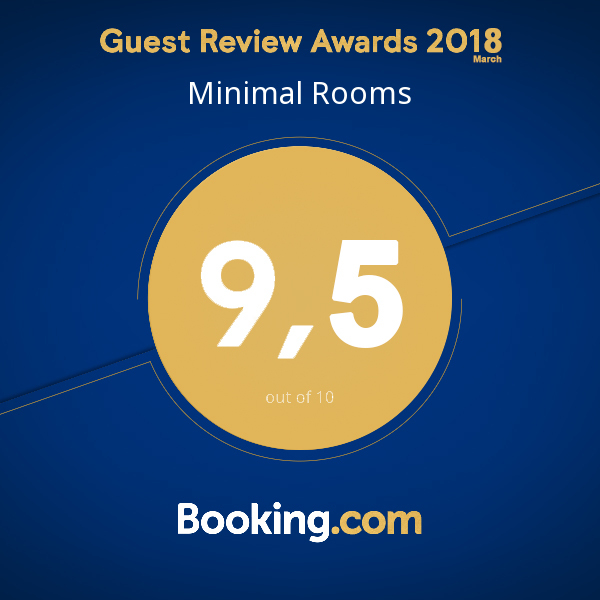 A perfect stay in Minimal Rooms! We had a warm welcome by Clara. The room is excellent; really good beds, the appartment is well equipped and very clean. We would highly recommend Minimal Rooms. Clara is also very enthusiastic about Malaga and more than willing to help you with more information or reservations. They offer free beach towels. We could leave our luggage untill our departure (in the evening) and also Teresa helped us in any way. What a great place and very kind people! Absolutamente TODO pero lo mejor Clara y Teresa que forman un equipo de anfitrionas perfecto. Antes incluso de llegar a Minimal ellas te hacen sentir en casa con un trato amable, empatico y muy generoso.. Hasta muy pronto, amigas. Todo en general está fenomenal, el apartamento está al detalle, el trato excelente, y la ubicación perfecta para visitar la ciudad a pie. Clara kept in contact pre arrival by email. She was there to greet us with a smile and loads of information about Malaga and things to do. She had prepared a sheet of things not to miss. We set up a WhatsApp chat straight away and she said we could contact her at any time if we had queries, wanted our towels or linen changed. She was fantastic, one of the best I’ve come across. The apartment block was in a gated street and very safe. The apartment itself was beautifully furnished with a large bathroom, extremely comfortable bed and pillows. It was situated in the heart of the old town and was walking distance from all the main attractions. Perfect! Lovely apartment in excellent position. We were very pleased with our accommodation at Minimal Room . Very modern and bright , in a gated community of traditional housing. Our host Theresa met us at midnight, which was very impressive! The flat was very well equipped , ever-thing you needed was there . Lovely comfortable bed, good shower and lots of hot water . Everything in Minimal Rooms has a maximum standard.